Taxed Enough Already, I ran across this site National TEA Party and foud it interesting cities across America are forming "TEA Parties""for noon on April15 at city halls every where. I emailed a lady that was forming the party here in Shreveport but I haven't heard from her. Has anyone else heard of this "TEA Party"? 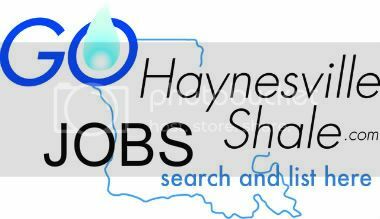 ShaleGeo has made a great post about another major producer making movement in the Haynesville Shale. Thought this might be of interest to you. BP has a filed for their first Haynesville Shale unit at Spider Field in Desoto Parish. I want to welcome Eric Camp as a regular contributor to the GHS blog feature. Eric has been an integral part of the GHS community for some time now. I look forward to hearing from him in this new medium. Does anyone know anything about the well they are preparing to put in RRP, T 14N-R9W-SEC30 ? I see it looks like they have the pad built ?, not sure about all the terminology used----just wondering if anyone knows if they are planning on completing the well while onsite or if they will come back later to drill? The Myth of the Heron and the Hummingbird. What is going to be the worst thing about bas inflation for the natural gas sector? Does anyone older than me care to share their experience about the upcoming quarters in the nat. gas market? If you want I also build houses? what about that sector? SHOULD I MARRY MY LANDMAN? DO YOU TRUST YOUR LANDMAN ENOUGH TO MARRY HIM/HER? A mineral lease has a longer life than most marriages. Since this document may be longer lasting than a marriage, why would you enter into it lightly? Any Information on JW Operating well - Section 17 Township 16N Range 13W. Does anyone have any information on JW Operating well in Sec 17 (16N 13W)? They have been drilling on it since September. I do not know what "Side Track" means on sonris. I am in section 24 where no wells have been drilled. Has anyone heard of planned wells for this section? If a horizontal well is drilled in a section next to mine, can my minerals be pulled off whithout my receiving any royalties? I’ll be the first to admit that I have been in the middle of more than my fair share of GHS disagreements. Some of these disagreements are actually enjoyable to be involved in. Sharing ideas, hashing out opinions and trying to see the other side of the coin. I believe it is one of the best parts of the site. Disagreeing respectfully. It is odd and funny who did it or how did it happen. We all know Sharon and I have diff opinions. Go to the Louisiana Oil and Gas Association's web site to sign a petition protesting Obama's proposed tax increases for the oil and gas industry. Some times things aren’t good or bad they just may be distasteful from your perspective. If I sell a piece of property and reserve minerals, I want the gas companies to drill NOW before I lose my interests. The buyer of the property hopes they don’t drill soon enough and the mineral rights will become theirs. In it’s basic form that sounds simple enough.